Many prayer warriors throughout history have prayed their prayers from the Bible. 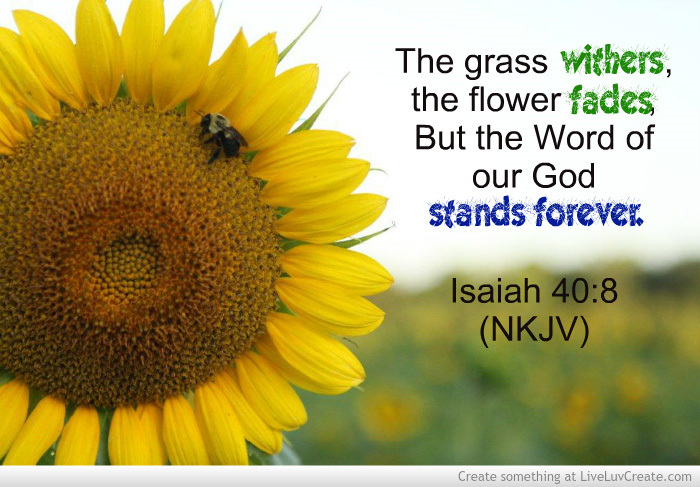 They would find a promise of the Lord’s and then “stand on the promise”. You can learn a lot from reading these prayers. In the book of Colossians Paul prays several requests for the church in Colossae. “For this reason we also, since the day we heard it, do not cease to pray for you, and to ask that you may be filled with the knowledge of His will in all wisdom and spiritual understanding; that you may walk worthy of the Lord, fully pleasing Him, being fruitful in every good work and increasing in the knowledge of God; strengthened with all might, according to His glorious power, for all patience and longsuffering with joy; giving thanks to the Father who has qualified us to be partakers of the inheritance of the saints in the light” Col 1:9-12 (NKJV). Does this sound like a prayer you have prayed recently? We can learn so much from the saints in the Bible. Many times our prayers are “me” focused. I like to call these temporal prayers, which are earthly focused for example we pray for finances, healing or our children. There is nothing wrong with praying temporal prayers except when it is the only type of prayer we pray. We need to start praying prayers which are kingdom focused. These type of prayers impact God’s kingdom. This prayer in the book of Colossians is kingdom focused. 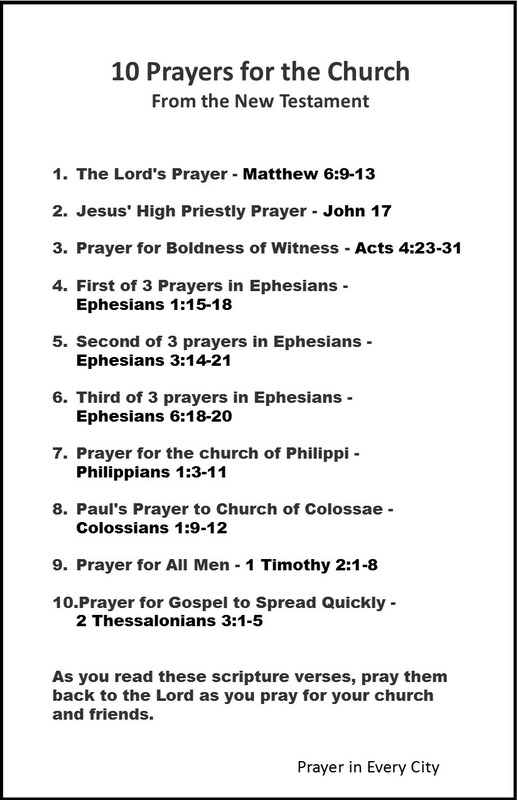 Here are 10 prayers from the New Testament. Please take the time to look them up and even outline each prayer. This will help you learn how to pray kingdom focused prayers. I like to keep a journal of every prayer in the Bible. When I see the word prayer or a synonym of prayer or pray in the Bible, I like to underline it in purple. I then write the scripture reference in my journal so I can keep track of every prayer in the Bible. I have strengthened my prayer time with the Lord by doing this. This is a timely post for me! Right now the Lord has lead me into a season of growing my prayer life. I like your tip about journaling the prayers you find in the Bible, and taking note of their Kingdom focus. I plan to incorporate this into my own prayer life. I am glad you have found this post useful. I also like to mark the word prayer with purple every time I find the word in the Bible. This helps me scan my Bible quickly for verses on prayer.